DIYP: Please tell us a little about yourself, who are you and what do you do? Nikša: I would characterise myself as very private, humble and highly professionally-oriented. Active, always cooking something, testing, trying out new things, a foodie. I’m always smiling, I love contact with people and, most importantly, I love my job! DIYP: When did you first stand behind a bar and decide to become a bartender? Nikša: I first decided to become a cook, but as I came closer to finishing my training I started to show an ever increasing interest in the bar segment. The reason behind this was my trip to a bartending competition in Macedonia for European high school students studying tourism. I came last, but afterwards realised that this was my calling. However, I considered I had to train myself up before standing behind a bar. 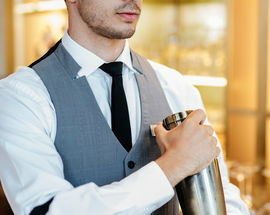 So, while searching for courses and schools I came across a picture of a man in a white coat with bartending equipment and an eprouvette containing some kind of red liquid. 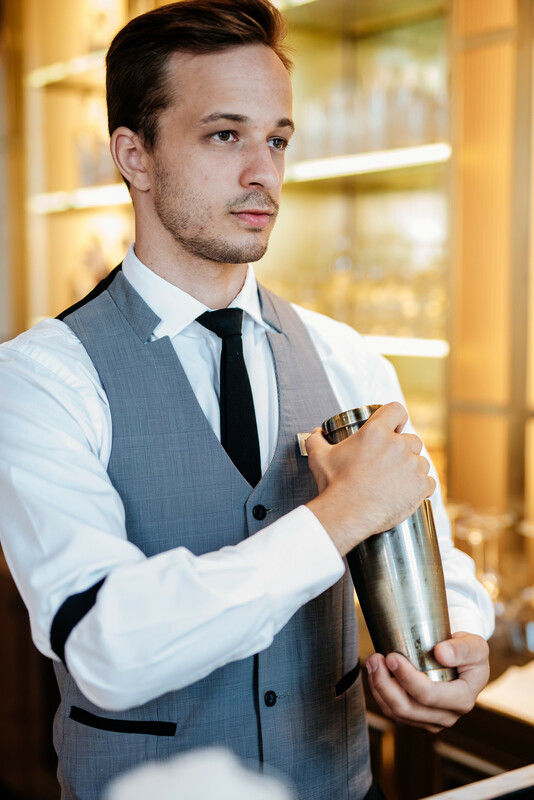 It was of the Nekić barology cocktail studio in Zagreb, and the man in the picture, now my colleague and friend, was Saša Lovrenščak. Then followed 5 months of socialising, learning, testing and getting to know other people in the industry. When I returned to Dubrovnik I found a job in the Hilton Imperial hotel where I first stood behind a bar and where I am proud to say I still work today. DIYP: What, in your opinion, is the definition of a good bar? Nikša: I consider that there are certain standards beneath which no bar should fall in order to be classified as good. Starting from the theme of the bar, the décor, the atmosphere in the bar, the quality of the ingredients, the standards of hygiene (which I consider really important), and, most importantly, great staff. None of the things I have mentioned can compare with a person, their competence to present everything I have mentioned and to transform their bar into your new favourite spot. It’s important to find staff who have the enthusiasm to learn and to strive for ever increasing levels of quality. DIYP:The Imperial Bar and Lounge has a long history. Do you have any interesting stories about the bar, and what would you say are the best things about the bar today? Can you drink the same cocktails in the bar today that people drank 100 years ago? Nikša: I have already mentioned the standards beneath which a good bar should not slip. 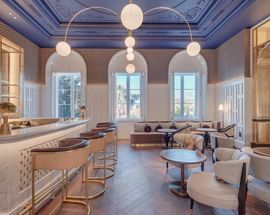 I can say that The Imperial Bar and Lounge has throughout its history been and remains a good bar and a favourite meeting spot both for the people of Dubrovnik and for visitors. 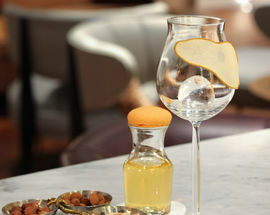 With last year’s renovation the bar has gained a breath of glamour in a space in which guests feel relaxed and special. We always look ahead, we want to be better, we listen and take note of constructive criticism. 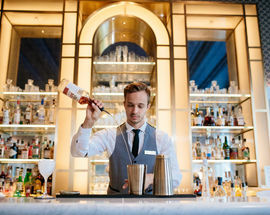 In keeping with the bar’s story, the cocktail menu is inspired by Shaw’s Book of Cocktails which was published in 1897, the year when the hotel was built, and we have included cocktails which date back to before 1900. 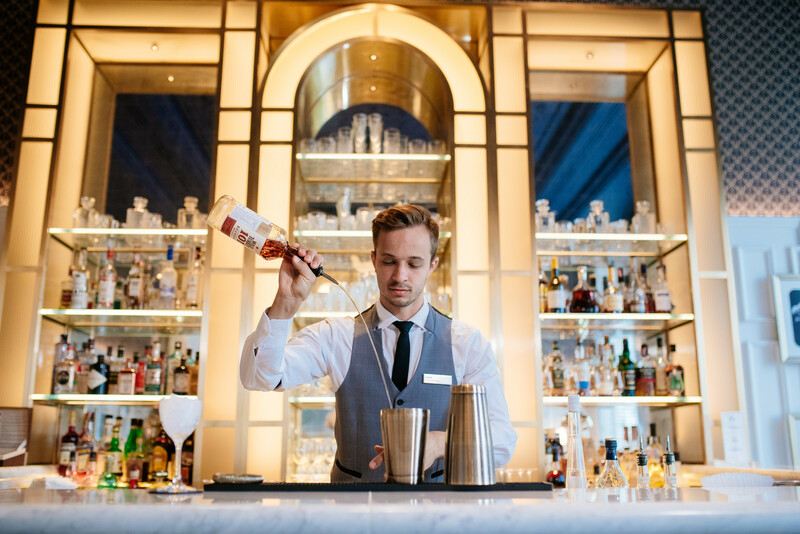 Apart from historically-inspired cocktails our guests can also order modern classics, but we’re particularly happy to create new cocktails with their favourite ingredients or drinks. Also, we’re famous for our Imperial Afternoon Tea, an English tea-drinking ritual with savoury and sweet snacks. 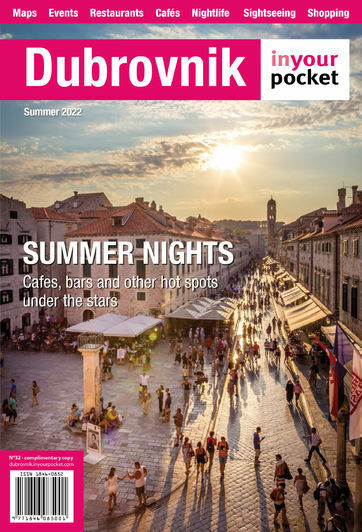 DIYP: Where do you like to go out in Dubrovnik when you have the evening off? Nikša: It depends what mood I am in, but one of my favourites is definitely Lokal Bar In One. Especially on Thursdays when they have their “Mix&Mingle” events. There’s a great atmosphere, excellent offering of food and drink and of course, excellent bar staff. 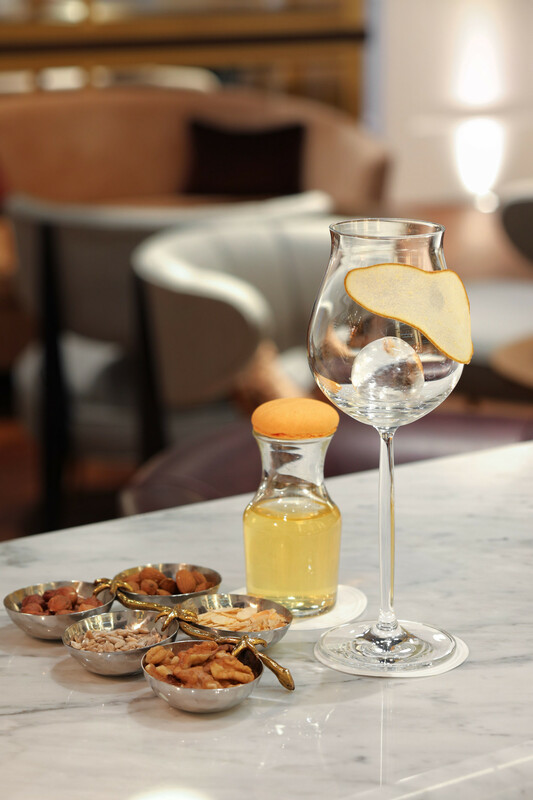 A concept which I like very much is the Gin&Jazz evenings which we organise in the Hilton. Live music, excellent gin, cocktails and a wonderful atmosphere are attracting ever more guests, and if I wasn’t behind the bar I would definitely be among them.